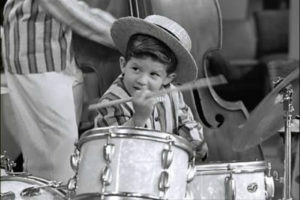 Child drumming prodigy Keith Thibodeaux had just completed a national big band tour following his discovery by one of TV’s first talent search shows, The Horace Heidt Show, when he won the coveted “Little Ricky” role on TV’s I Love Lucy. 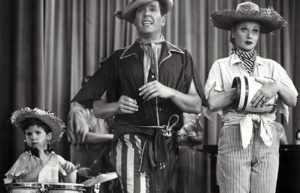 More than 200 youngsters had auditioned to play the TV son of stars Lucille Ball and Desi Arnaz, and winning the role catapulted him from talented child to celebrity in an instant. Thibodeaux recalls now that his Lucy years, 1956-60, during which he was billed as “Richard Keith,” were filled with both excitement and pressure to perform. After Lucy, Thibodeaux acted in numerous TV shows and spent four years playing “Johnny Paul,” Opie’s (Ron Howard) best friend on The Andy Griffith Show. Close to the Arnaz family, he and best friend/fellow drummer Desi Jr. later helped warm up the studio audience for Ball’s series, The Lucy Show. At 15, his parents’ divorce propelled him back to his native Louisiana with his mother and five siblings. But the shadow of Lucy remained, and no wonder: The iconic show (1951-1957, followed by The Lucy-Desi Comedy Hour 1957-60) airs daily on The Hallmark Channel and ME-TV and is syndicated around the globe. 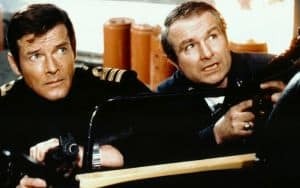 Last year, a colorized version of the 1956 Christmas episode featuring Thibodeaux attracted more than 8 million viewers when CBS-TV ran it in prime time – 57 years after its original air date. Post-Hollywood, Thibodeaux attended colege, drummed in rock bands and was spiraling downward in drugs and depression when a “born-again” Christian conversion at a rural church changed his life. In 1976, he married ballet dancer Kathy Denton and spent more than a decade touring with pioneering Christian rock band David & The Giants, whom he had played with during the band’s secular music days. 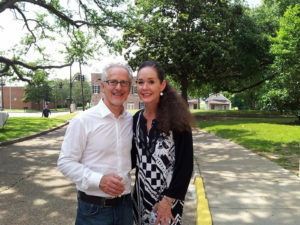 He recorded nine albums with the group before leaving in 1991 to join Ballet Magnificat!, which Kathy had founded in 1986 as the nation’s first Christian ballet company. As executive director of the Jackson, Miss.-based nonprofit, Thibodeaux now oversees 50 employees, including 30 dancers in two touring companies, teachers and a ballet school with 314 students. In addition to nationwide American tours, the ballet has performed its original productions in China, Singapore, Russia, South Korea, Italy, Poland, Israel and elsewhere. “I think it would surprise most people to know the scope of what we do and where our ministry reaches,” Thibodeaux says. Playing the drums started it all, and now life’s coming full circle for Thibodeaux: a David & The Giants reunion concert last year has led to several recent concerts and a just-released CD, Still Rockin’. Eight of the project’s 12 songs were recorded live, augmented by studio tunes engineered by three-time Grammy winner Jacquire King, an engineer/producer who’s worked with Norah Jones and the Kings of Leon. 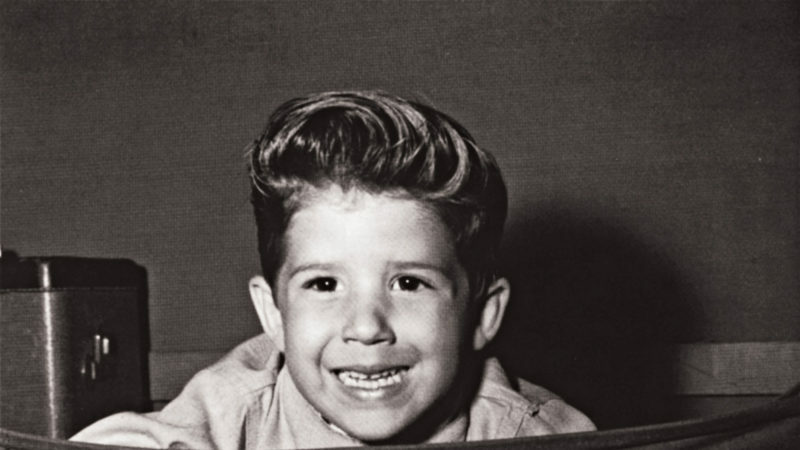 Fit and youthful, with cropped white hair and often sporting black-rimmed glasses, traces of “Little Ricky” are still evident when Thibodeaux plays drums. He stays in touch with Desi Jr. and Lucie Arnaz and detailed his life story in Life After Lucy. His daughter Tara, a dancer/choreographer, is married to former NBA player Bryce Drew, head men’s basketball coach at Valparaiso University. For more about Ballet Magnificat!, visit here.